NOGA is a multidisplinary professional organization in Northwest Ohio that offers educational opportunities to individuals involved in the care of older adults. The Geriatric Registered Nurses of the Greater Toledo Area was formed in 1967 to provide education and support for those involved in the care of older adults. In 1978, the name of this organization was changed to the Northwest Ohio Gerontological Association (NOGA). Members of NOGA include health care professionals, caregivers, seniors, educators, students, and others interested in the field of aging. The mission of NOGA is to provide educational opportunities and a support system for those involved in the field of aging. Through these means NOGA addresses issues that affect older adults and promotes the positive aspects of aging. How does NOGA fulfill its mission? Through monthly programs, members are given the opportunity to network with other individuals interested in the field of aging. 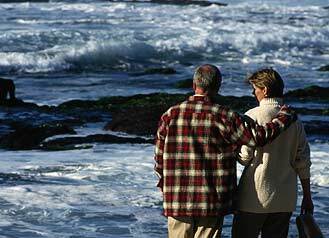 Current topics in gerontology are discussed by expert speakers at most meetings.